Comfort food at it’s best, steaming hot out of the oven. What I also love about oven baked dishes is the ease, they can be prepared upfront and baked when needed. 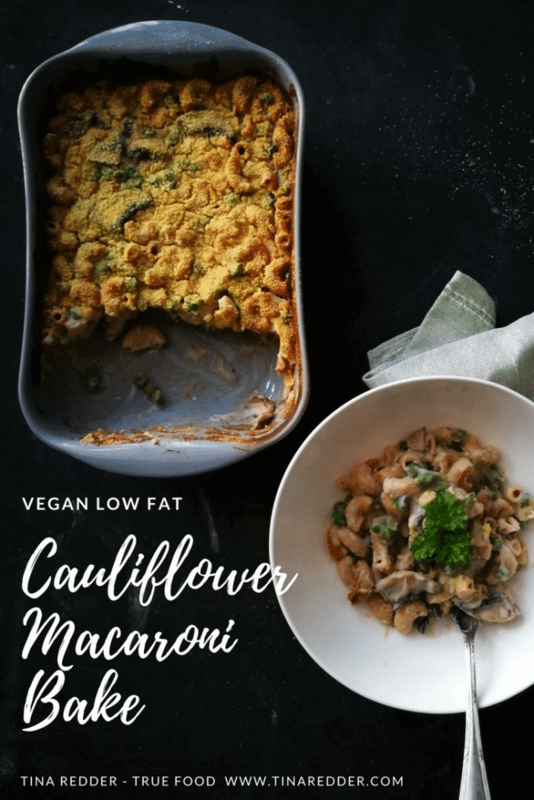 This Vegan Cauliflower Macaroni Bake is kind of a mac & cheese but with more veggies hidden inside. I like to pack in as much as possible. Besides the cauliflower I also added mushrooms and green peas. The sauce is made from steamed or cooked cauliflower, plant based milk, nutritional yeast for a little cheesiness and flavorings like onion powder, garlic powder and mustard. 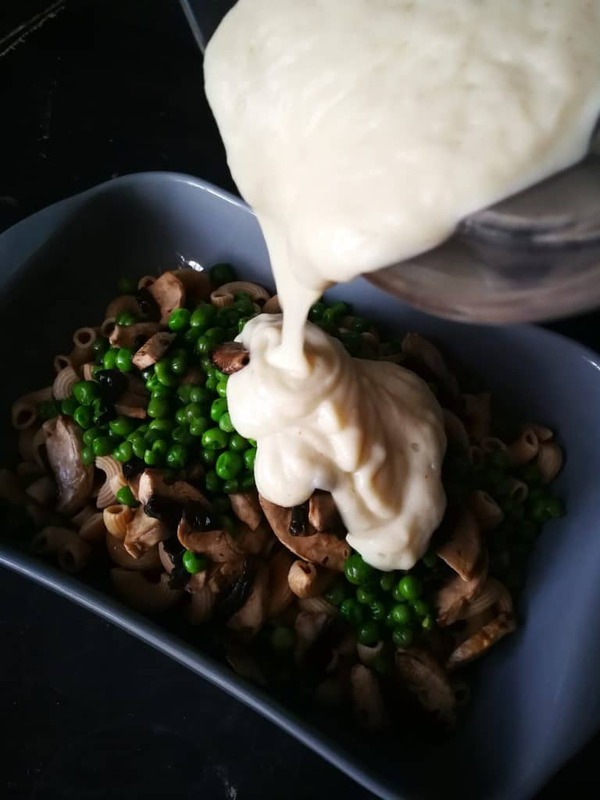 All blended into this creamy sauce, it is like a thick soup!
. Yo can find th If you would like to see how I made it click on the picture below. 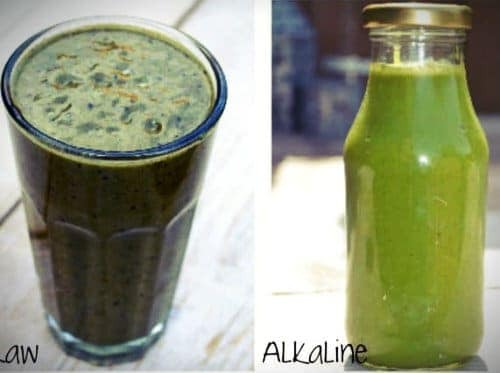 You can find the complete recipe below this post. 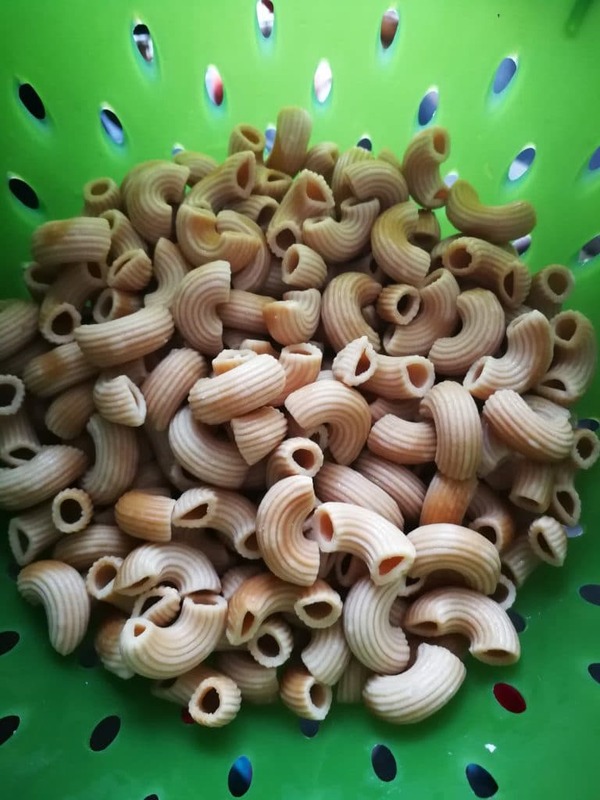 I used a gluten free quinoa macaroni, you can of course use what you like and cook it al dente, two minutes shorter than you would normally do. I love the ease a dish like this. You can make everything ahead, mix it and set it in the fridge. I have another sauce recipe on the site, the White Bean “cheezy” Dip , this can also be thinned out and used in recipes like this. 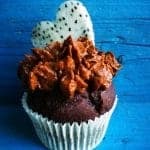 I used some gorgeous yellow coarse corn flour on top to create a crunchy layer, you could also add some bread crumbs or even some vegan cheese. 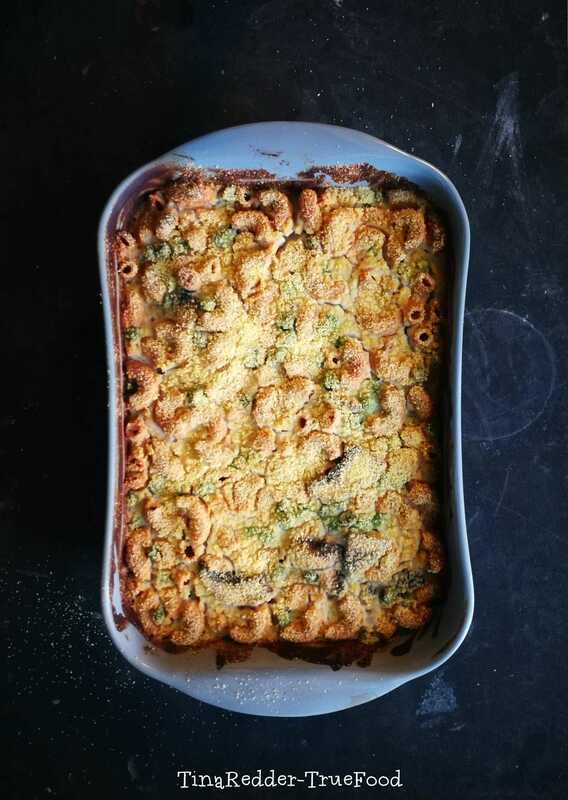 To leave the macaroni creamy and gooey I baked it the first 20 minutes covered with foil. The last 10 minutes I removed the cover to make the top crispy and golden. I love to eat dishes like this with a huge green salad with a avo or tahini dressing on the side to add some fresh greens to a meal. 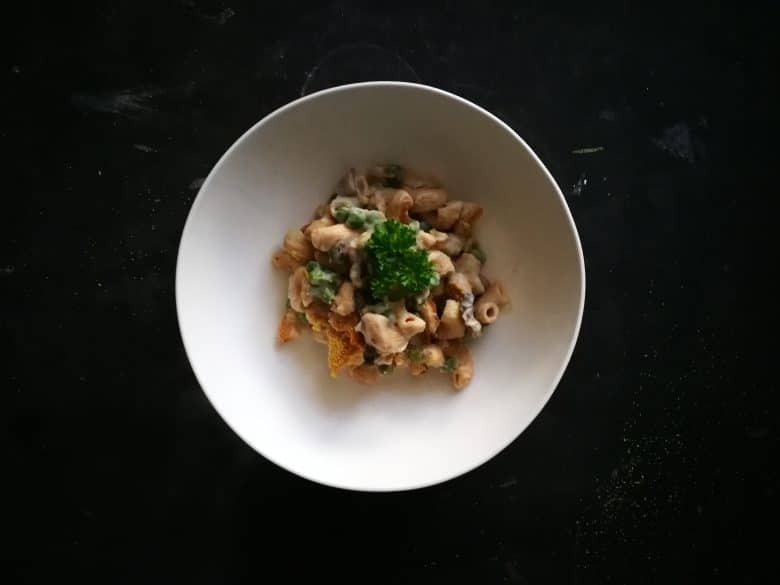 Another pasta recipe I sometimes make is my vegan Mac & Cheese. 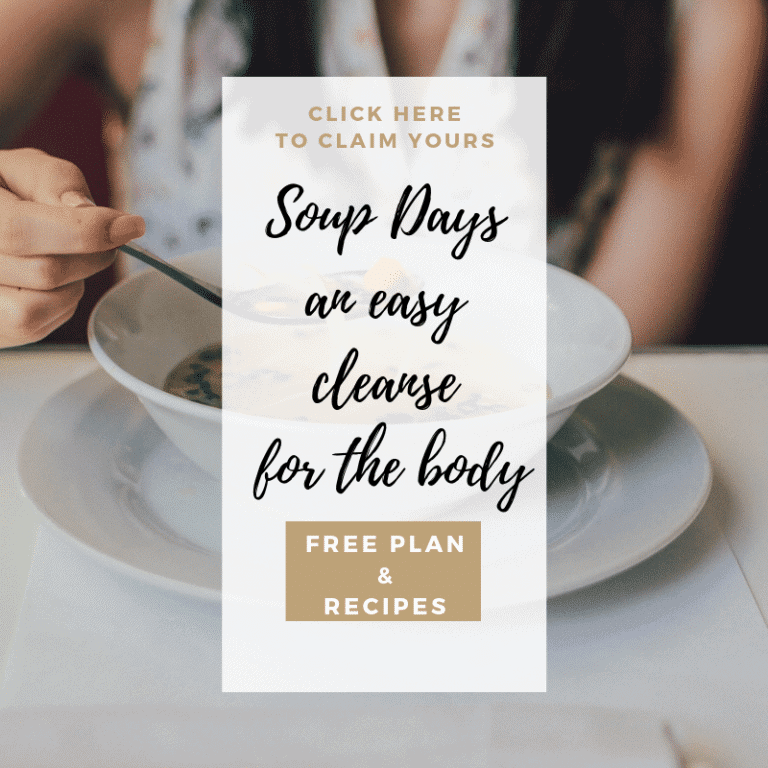 I made this version with cashews and white beans, a little bit higher in fat. This vegan cauliflower macaroni bake is without added fats. 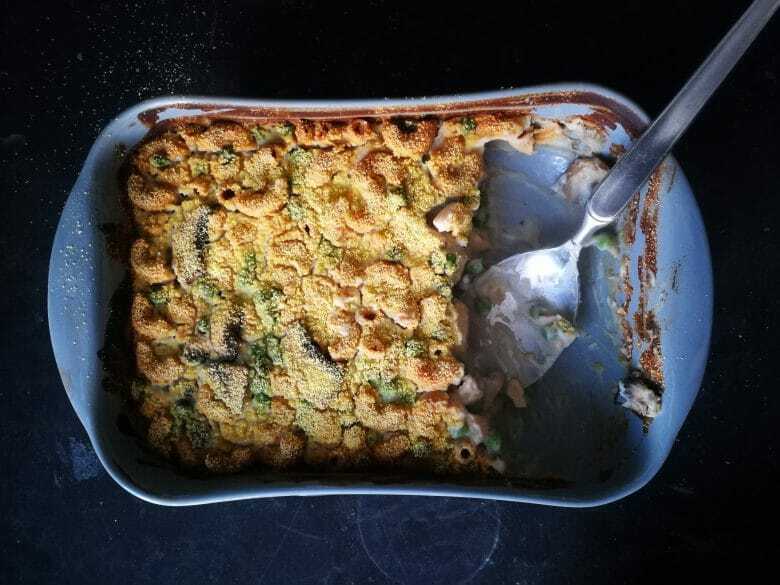 It also has a good amount of protein due to the quinoa macaroni and green peas. 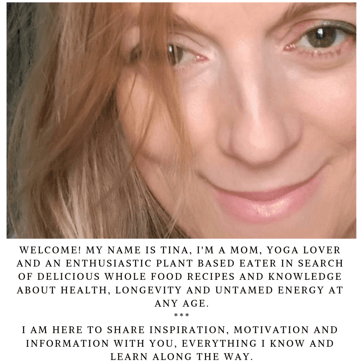 To save this recipe you can pin the picture below to your Pinterest board! 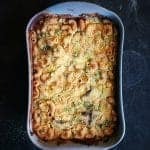 This cauliflower macaroni bake is comforting, has plenty of veggies and is low in fat. Also easy to prepare. Steam or cook the cauliflower until tender. 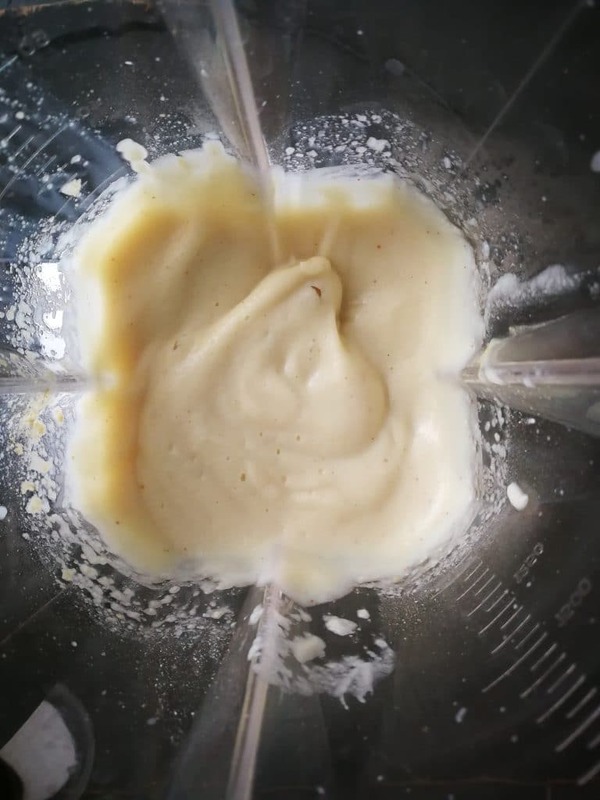 Blend the steamed cauliflower with the milk and flavorings into a smooth sauce. 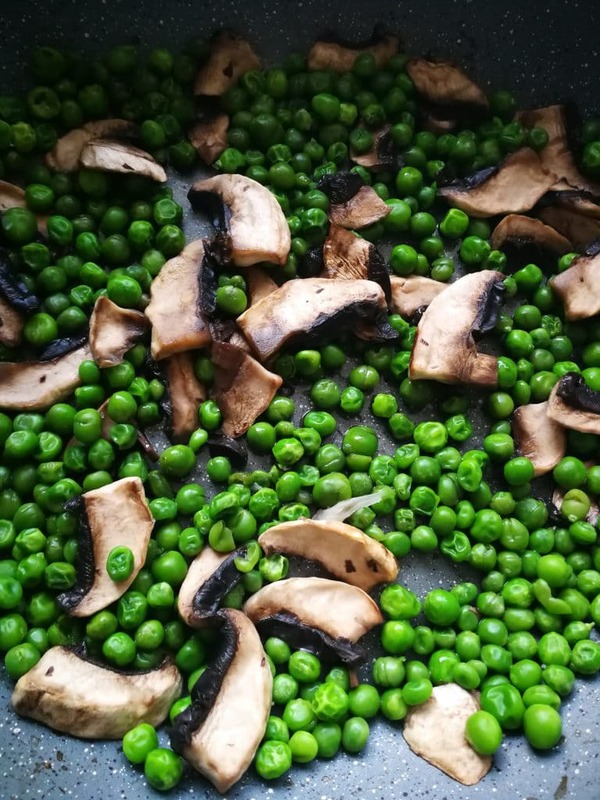 Bake the sliced mushrooms in a little water or oil for about 6 minutes until they start to shrink. Add in the green peas and let it cook for 5 more minutes. Season with salt and pepper to taste. Cook the macaroni al dente according to the directions on the package. 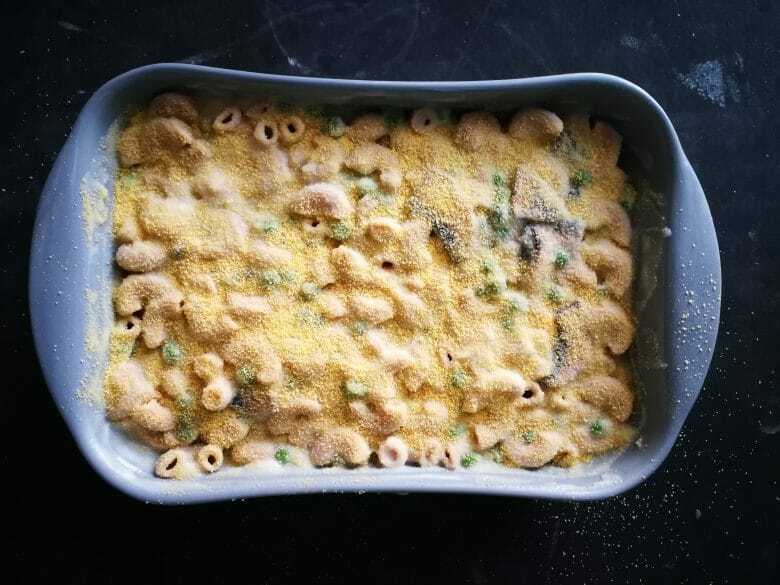 Mix the cooked macaroni, cauliflower sauce and the mushroom / green peas and scoop it into a baking dish. I added some coarse corn flour on top to make it crunchy. 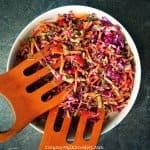 You can also add some [ gluten free ] bread crumbs or vegan cheese. Bake for about 20 minutes covered with foil and ten minutes without cover to get the top crunchy and golden.